Avoiding Bankruptcy Can Make You Poorer In Retirement, Fed Says. Individuals who choose to avoid bankruptcy generally will be poorer in retirement, fed study shows. The Federal Reserve of New York (FRBNY) in a study researching the impact of the bankruptcy reforms put into place in 2005 revealed that trying to avoid bankruptcy has long-term financial penalties. Amount the financial penalties are the loss of contributions to your retirement over time, which makes for a smaller nest egg come time to exit the rat race. 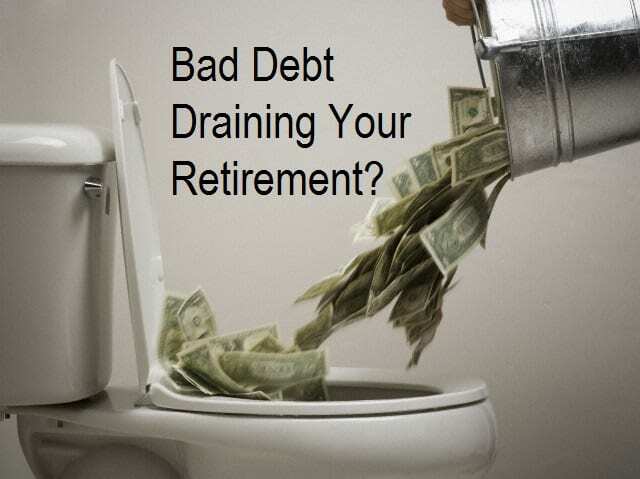 Many people in their attempt to avoid default or bankruptcy will mistakenly opt to either liquidate already accumulated retirement savings at a very high cost or divert monthly retirement contributions to pay debt instead of saving for retirement. And, continued to vulnerability to collections actions including garnishments. Keyword: Norfolk Bankrupcy, Hampton, Suffolk, Yorktown.